November 1 through May 15th, due to private property issues. Please respect the "trail closed" signs. From SLC head east on I-80 towards Park City. Take exit 145 for Kimball Junction and head south on HWY 224. In 2.1 miles turn Right onto Bear Hollow Drive at the light. Drive another 1.4 miles until you reach the TH on your left. Here is a driving map. There are no restrooms available. 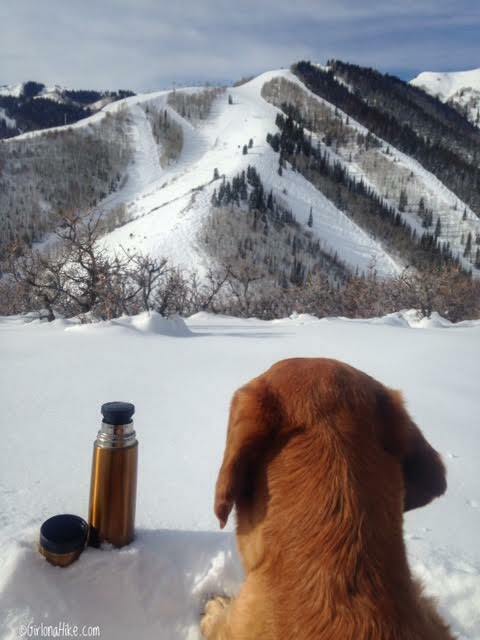 Dog friendly? 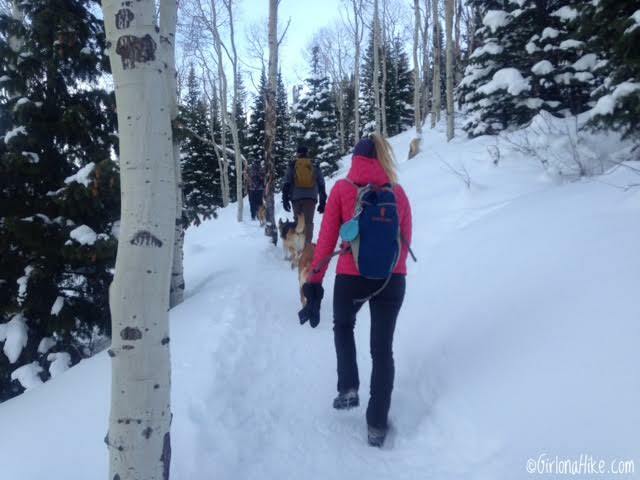 Technically Park City requires dogs on leash but nobody does. Keep a leash handy just in case and for wildlife. 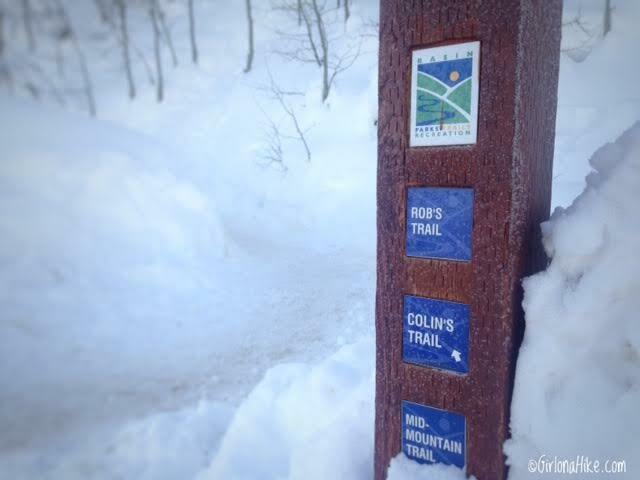 Right at the parking area you'll see Basin Rec's trailhead sign for Rob's Trail, Colin's, and Mid-Mountain Trail. 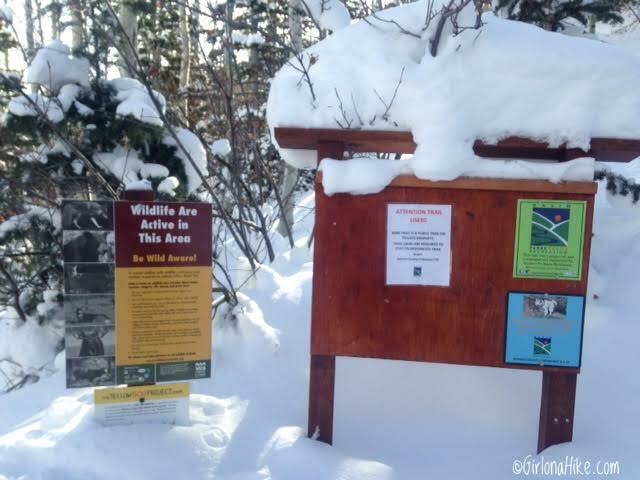 Pass the wildlife & info sign. 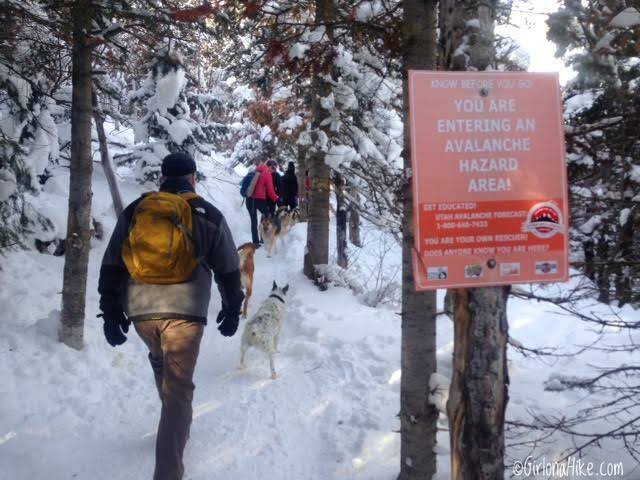 Be advised that you are entering avalanche hazard area. 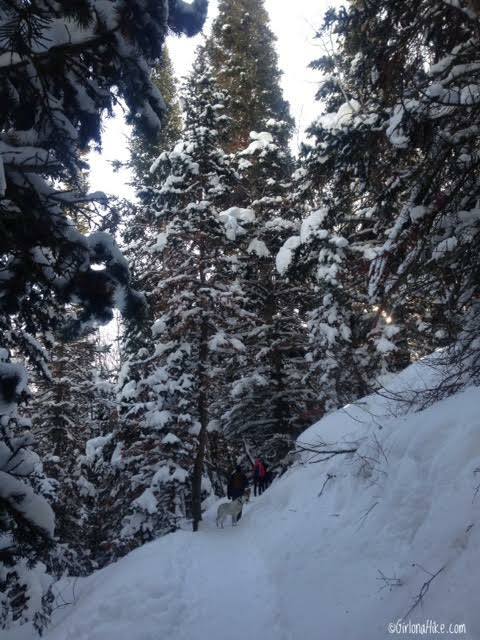 Always check avalanche conditions before heading out to hike or ski. The trail was really pretty and forested. I love how gentle of a climb this trail is. 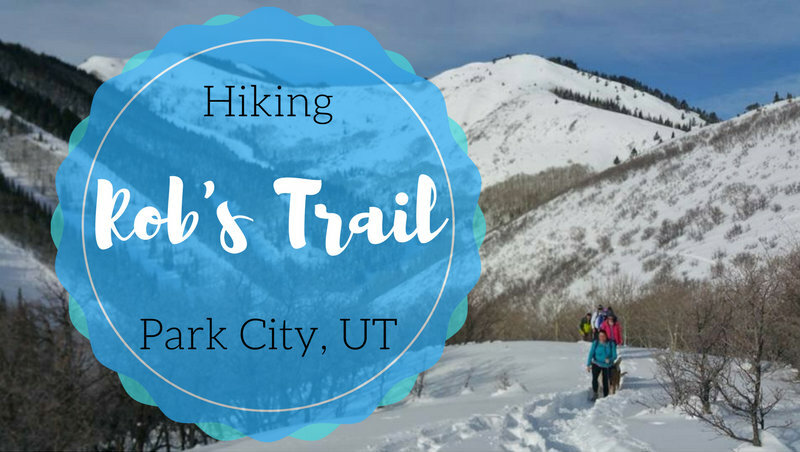 Great for a recovery hike, or an easy trail run in summer. 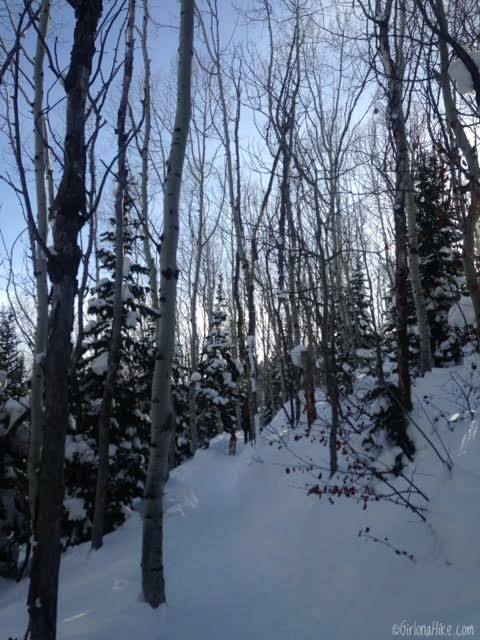 The trail soon opens and you'll have a nice view looking East and down into the elite Bear Hollow neighborhood. 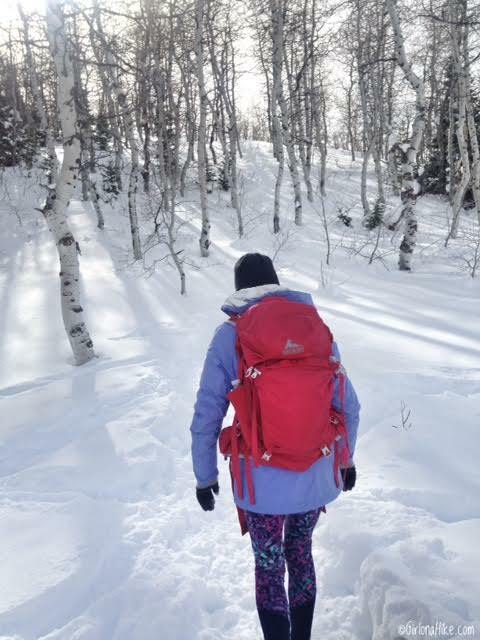 @nicole04321 works her way up the trail. The trail eventually turns West after a trail split, and the trees seemed even bigger now. You'll come to a 4-way intersection with this bench. 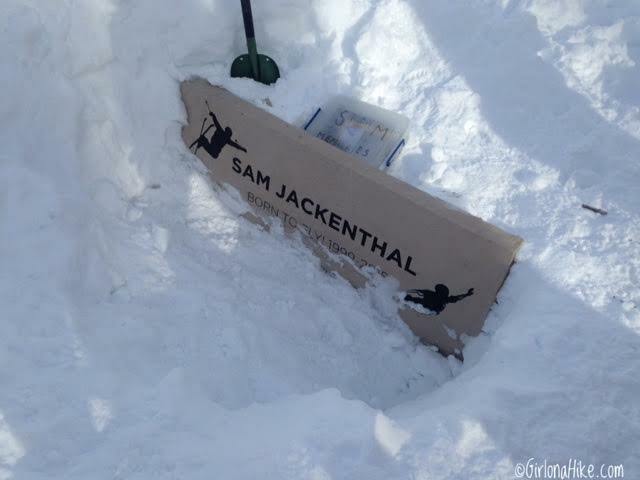 This shows just how deep the snow is this winter! Normally you could sit on this to rest, but all you can see is the backrest. From this intersection, turn left (south). Heather from Explore with Heather leads the way for the last stretch of the trail to the overlook. 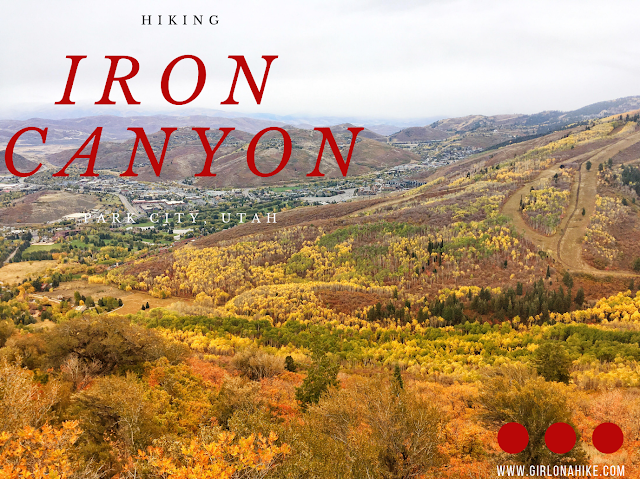 Hike up the last hill until you reach what seems like a clearing in the sage brush and the high point of the hill. 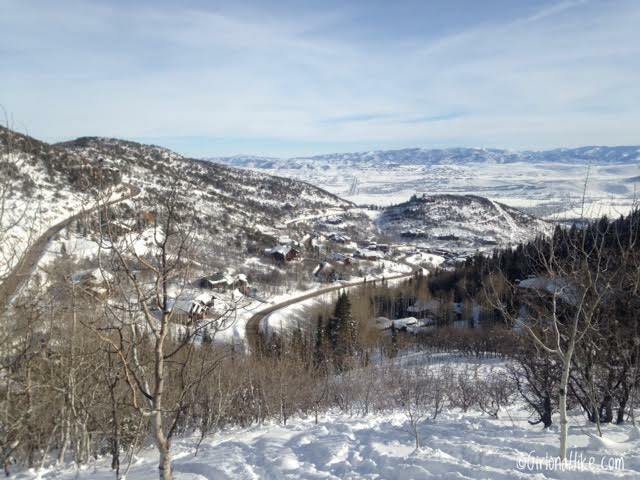 You should have an awesome view of The Canyons ski resort! Panorama of Rob's Trail overlook. 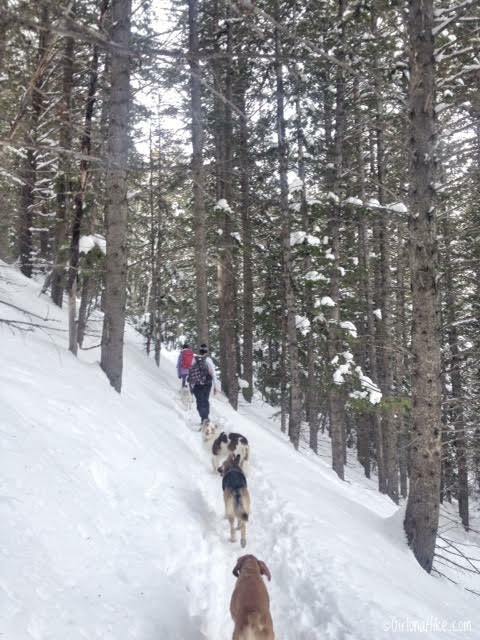 Group photo of the "Hiking in Utah with our Dogs" group. 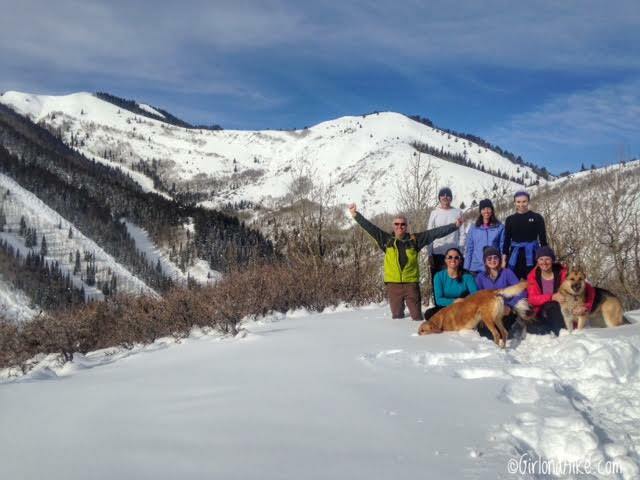 The group is free to join on Meetup and Facebook and we hike year-round with our dogs off leash. 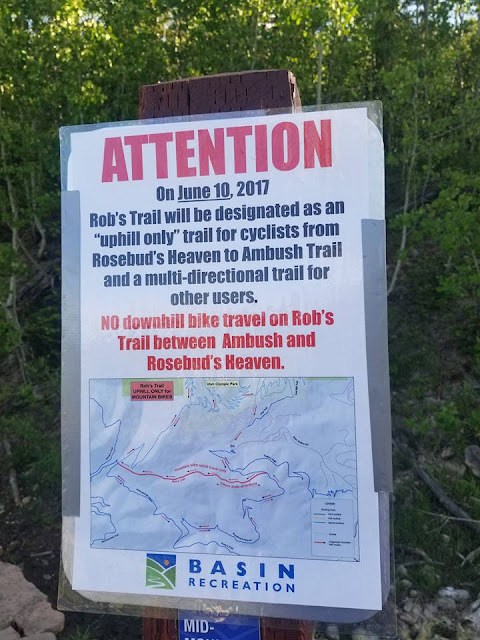 This rule mainly affects bikers - riders now have to travel "uphill" only on Rob's Trail. This rule actually makes it safer for dog owners, since you won't have to worry about bikes flying down the trail and trampling your dog. Is that your hiking book in the side bar? It looks right up my alley. 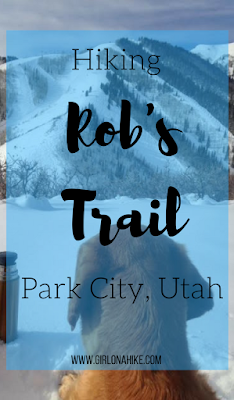 My husband and I are planning a SLC move and day hikes are kinda our jam. I noticed it is only an online book. Any plans for a paper back or do you have a recommendation on a good paperback on local hikes? I also like the idea of not driving more than 30-60 mins for a nice day hike. Not sure where in the city we will move to, either, at this point. We visited Park City and went for a hike on Colin's trail/Rob's trail, got a bit lost but found our way back. Ended up a 7.5 mile hike! Anyway, thanks for this post, I'm going to check out the rest of your blog. It is! I only offer this book on Kindle. I suggest staying close to downtown or on the East side like Sugarhouse or Millcreek. Those neighbor hoods are nice, young, and close to trails. Thank you so much for that insight! We cannot wait (but have to because kids and $$$ lol).